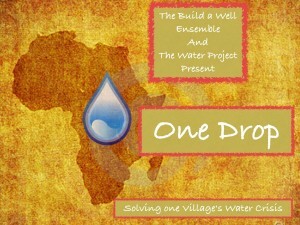 The Build a Well Ensemble is a group of percussion students and professors from Olivet Nazarene University that are moved to use their time and talents to solve one communtiy's water crisis in Africa. Please consider attending one of our recitals Cornerstone church Manteno May 4 6 PM Olivet Nazarene University LFA rm 140 May 9 10 AM Life Compass Church Kankaee May 25 5 PM Or donating online at this page. Above all please pray for us and the communities we aim to help for the glory of God the Father. 05/04/14 Richard Kasal $46.00 Great show.